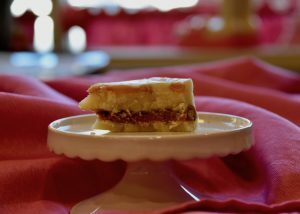 We serve home-made fudge daily! Check the menu for the availability of certain fudges. Available for order online. 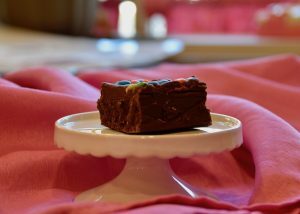 A chocolate fudge with M&M candies sprinkled on top. 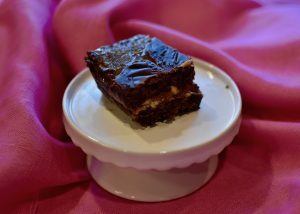 Based on a popular chocolate bar, this sweet fudge is drizzled generously with bits of toffee and milk chocolate. 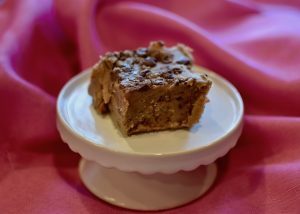 A popular candy bar calls for a popular fudge! 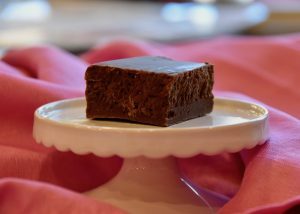 This fudge is a mix of caramel sauce and rich chocolate, packing a sweet punch in every bite. 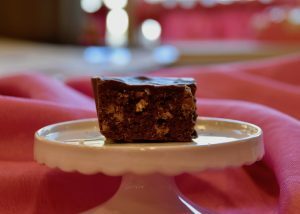 A chocolate fudge chock full of delicious bits of walnut. A twist on the pecan praline ice cream flavor, Chewy Pralines, provides a caramel-y sweetness and a nutty bite. 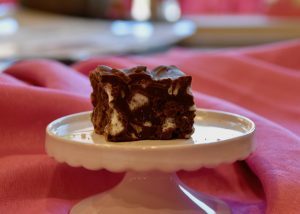 A chocolate fudge filled with chewy bits of marshmallow and almond pieces. 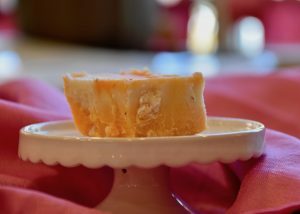 An orange creamsicle in fudge form, this flavor is sure to delight those who enjoy a more fruity twist on their fudge. 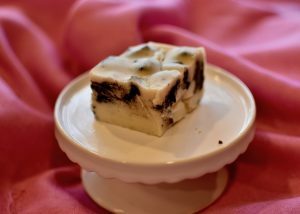 A fudge that is two in one. 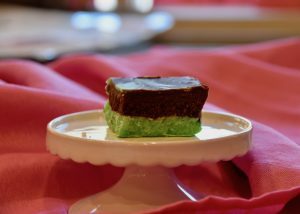 Mint Chocolate is a layer of chocolate fudge on top of a layer of refreshing mint fudge. The original flavor. Delicious as ever.